Can A Grenade Explode If Shot With A Gun? The very thought of war can be a scary thing for most of us ordinary folk, but it is still fascinating as to how the different kinds of weapons function (even though we condone their use). We know about a range of weapons that are employed by any fighting force, which include guns, missiles, tanks, grenades, etc. When any weapon is designed, it is usually done so in a fashion so that it delivers maximum damage to the target and is in the safest possible state in the hands of the person about to deploy it against a target. When thinking about some of these tools of military might, a funny question came to mind—what would happen if a grenade was shot by a gun? 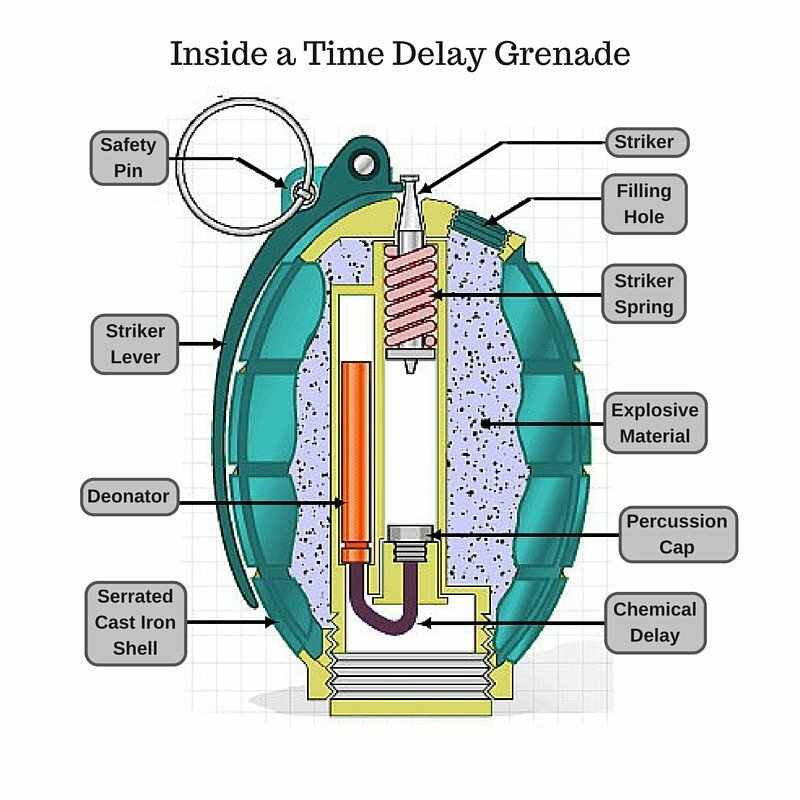 To answer this question, let’s first start by understanding how a grenade works. A grenade is an explosive that is usually thrown by hand; it is classified as a projectile weapon. However, grenades need not always be thrown. Grenade launchers are also used to increase the projectile range of the grenade being delivered. 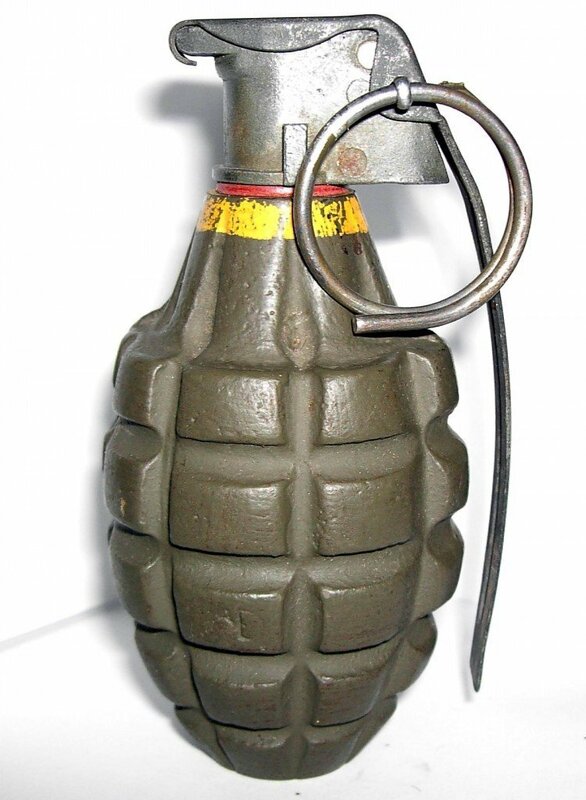 A grenade generally consists of an explosive charge, a detonating mechanism, and a firing pin inside the grenade to trigger the detonating mechanism. Before the grenade is thrown at the desired target, the safety lever is removed. The removal of the safety lever makes the primer explode. The explosion of the primer ignites the fuse, thereby setting it ablaze. The burning fuse only takes a few seconds to reach the detonator, which detonates the main charge, thus causing the grenade to explode. Now that we understand the mechanism of how a grenade basically works, let’s move on to the different types and their bodies. The three main kinds of grenades are fragmentation, high-explosive concussion, and smoke grenades. There are other types of grenades, but these are the main ones. 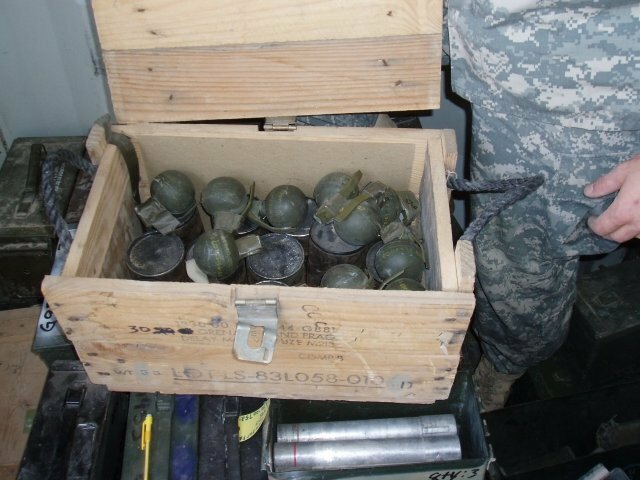 Fragmentation grenades are the most commonly used types of grenades in the army. They disperse shrapnel upon detonation. The body of a fragment grenade is usually made of steel or some kind of hard synthetic substance. The body of a fragmentation grenade ensures that even if a certain amount of damage occurs to the grenade, such as splintering or dents, the grenade still does not detonate. Grenades can usually be visualized in the shape of pineapple, but can also be more circular. There is also a stick design that was designed in World War 2. 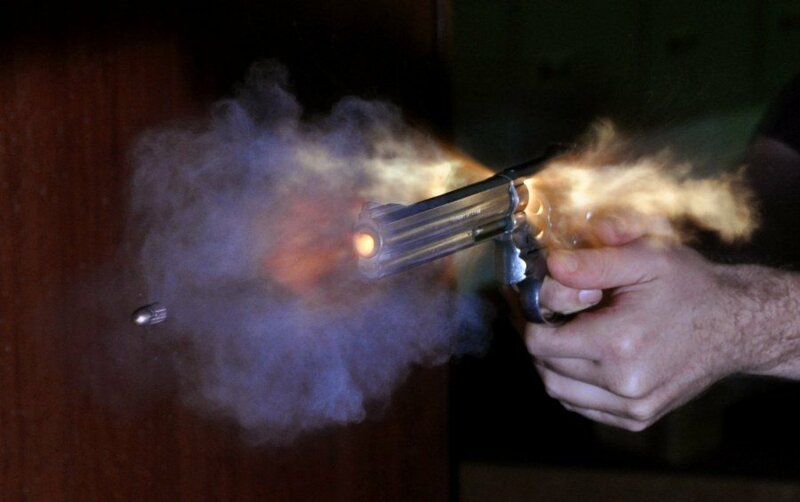 A bullet is fired from a firearm, classifying it as a kinetic projectile. As we all know, guns come in all different shapes, sizes and power ranges. Similarly, bullets are made from a variety of materials, such as copper, lead, steel and even wax! The design of bullets must be done with a number of critical parameters in mind. The first problem a bullet encounters is in the barrel of the gun, where it must form a firm seal with the bore of the gun. If a strong seal is not achieved, then gas from the propellant leaks past the bullet, which leads to a loss of accuracy and efficiency for the bullet. The bullet design must also be such that it does not damage the bore, so the covering of the bullet cannot cause too much friction with the bore of the gun. The physics of a bullet after it leaves a gun also plays a pivotal role in the effectiveness of the bullet. In fact, there is a special branch of physics that deals with this, known as ballistic physics. The two important things that affect the physics of a bullet are its shape and the movement of the gun barrel upon the bullet’s departure from it, also known as rifting. Any asymmetry in the shape of the bullet is largely cancelled out by the spin that the bullet experiences when it’s shot. However, a spin rate greater than the optimum can have some very adverse effects, such as making them explode in mid-air or make the bullet land off mark. With smooth-bore firearms, the preferred form for bullets was of a spherical shape. These unstable bullets tumbled erratically and provided only moderate accuracy. Even so, the aerodynamic shape changed little for centuries. In general, when it comes to the construction of a bullet, shapes are a compromise between aerodynamics, interior ballistic necessities, and terminal ballistic requirements. To pit a grenade against a bullet might seem straightforward, but it is a bit more complicated, based on a few conditions. Let’s take the case of a fragment grenade and an ordinary handgun bullet. In such a case, for the bullet to make the grenade explode, it needs to penetrate through the hard outer fragment shell. This poses a problem for bullet penetration, as the hard exterior would almost certainly leave a dent, but it wouldn’t be deep enough to reach the detonator. Even if it did reach the detonator, it probably wouldn’t have enough kinetic energy to ignite the detonator to light the main charge, which would then result in the main charge explosion. Now, in a second case, where we use the same fragmented grenade, but this time with a very high-caliber sniper rifle, things would end much differently. Sniper rifles contain bullets that are of the highest caliber in terms of being highly aerodynamic and highly explosive in terms of their accuracy and power. In this case, the sniper would be able to penetrate the grenade enough to reach the main charge and create an explosion. Thus, in conclusion, it’s hard to make a grenade explode just by shooting a normal handgun at it, but with a powerful enough sniper rifle, it’s possible to penetrate deep enough into the main charge and make a grenade explode with a single, well-placed shot!